Instead of mounting 2 volt meters in a car with dual batteries it may be more cost effective and neater to use a 2 way switch and only one volt meter. 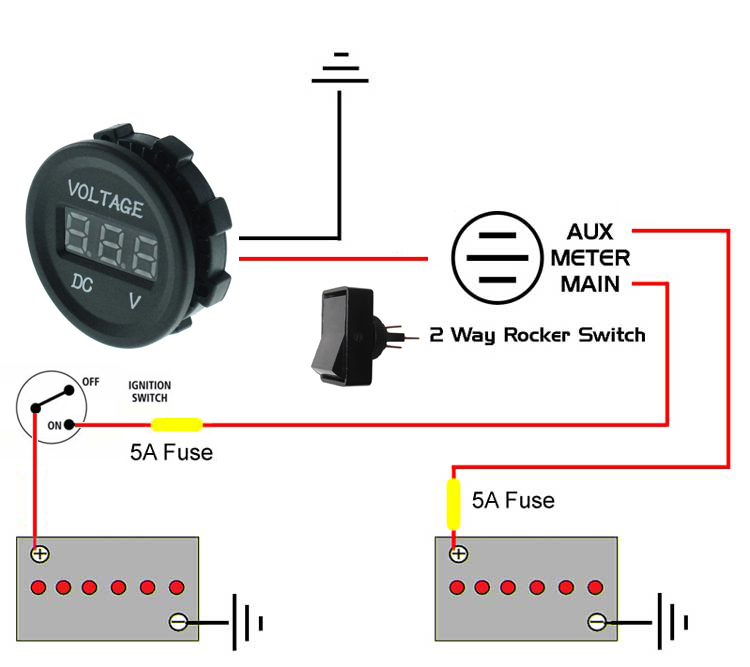 You simply need a volt meter like our dash mount type and our 2 way switch. The (-) post of the volt meter is earthed to the car body or chassis. The (+) post of the volt meter is connected th the center post of the 2 way switch. The 2 outer posts of the switch are connerted to each battery. Fuses are recomended 5A will do.